At this point in the Internet's lifespan, most (if not all) of us are aware of at least a few different browsers used to navigate the web. All of the big names in technology have one: Google Chrome, Microsoft Edge (and Internet Explorer), Mozilla Firefox, and Apple's Safari for macOS. Each of these browsers has basically the same functionality, so what goes into choosing the browser that works best for you? This question comes down to several factors, which will inevitably push you toward Google Chrome (unless your line of work demands otherwise). But before we go ahead and make that assumption, let's go over some of those factors in-depth. So, what factors exactly determine which browser you should use for surfing the web, checking your email, and staying connected on social media? To start, the aesthetic of your browser is a huge factor. I mean, just take a look at Internet Explorer (IE)—from the classic pre-Windows 7 look to the fact that your tabs are located under your url bar—the aesthetic of IE is fairly antiquated. Now, this might not be the fairest assessment of IE, but with the fact that it's the oldest supported browser, and that everyone on Windows 10 has Edge, the style choices made with Internet Explorer are just another nail in the coffin. I mean come on - who does this? 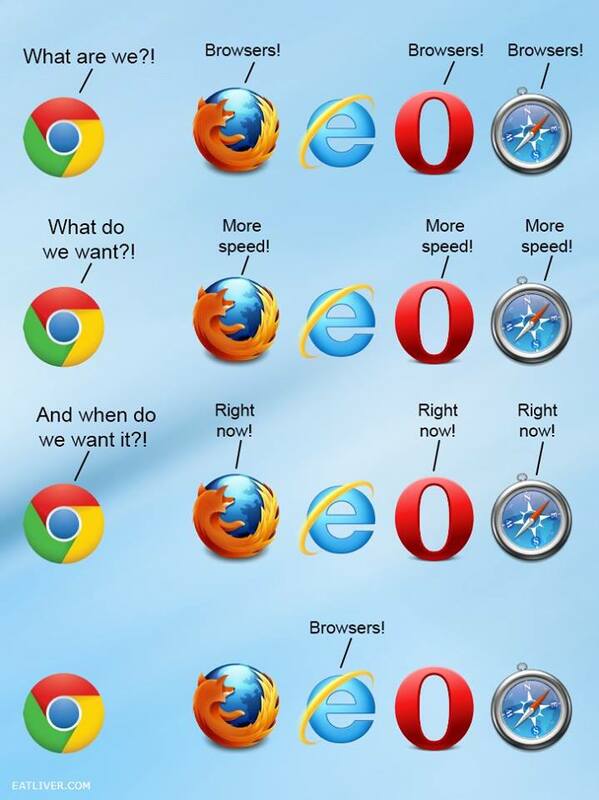 Now that we've spent a moment hating on Internet Explorer, what about the other browsers? Well, Google Chrome (Chrome) and Mozilla Firefox (Firefox) both have expansive libraries of company and community made themes that will change the entire look of your browser. Edge also has a theming system, but you'll be appalled to find out that you have a whopping two choices: Light (which is the default) or Dark. Safari doesn't have native support for themes, but there are several plugins that will allow you to make theme changes. Adding the additional 3rd party plugin is inconvenient, and it can lead to slowdown and the possibility of security issues, however—so work with them at your own risk. The unfortunate truth of modern browsers when talking about speed. Understanding these basics, we can begin to talk about speed. Well, first we need to get into a little bit of history of the top browser contenders: Firefox and Chrome. Since its release in 2008, Chrome has basically been the de-facto browser. 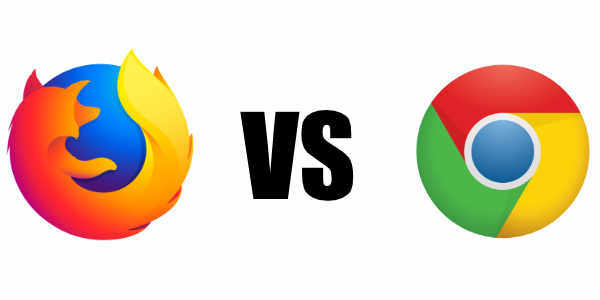 Before Chrome, many used Firefox as an alternative to Internet Explorer, but Chrome basically made Firefox irrelevant. In November 2017, the Mozilla team released their new Firefox browser, Firefox Quantum. Quantum has resurrected Firefox and brought it back into the running with Chrome for "best" browser. Firefox Quantum boasts new multiprocessing technology, allowing for resources to be loaded more efficiently and equating to around 86-percent less hang time. Furthermore, the new Quantum browser also uses less RAM (almost 2x less) than Chrome does, allowing it to run better on older, less powerful hardware. In comparison, Chrome feels fairly similar to Quantum. It's no surprise that even though it is technically slower, you won't see very much of a speed difference between the two. Modern browsers are built with speed in mind, and with each update, they attempt to get even a little bit faster, so differences in the top-tier browsers are almost always going to be negligible. But when comparing speeds of browsers like Chrome and Firefox Quantum to Safari, or even Edge, the slowdown is slightly more perceivable. As we mentioned before though, most speed differences are going to be almost unnoticeable, unless you're directly comparing two browsers side-by-side. One note about speed in relation to Google Chrome: it is a huge resource hog. Each Chrome tab or window is a new process, so without a modern (or relatively beefy) computer setup, you could see some major slowdown of your computer—especially if you're a multi-tasker. Now we've covered aesthetics and speed, and we still don't have a clear front-runner (even if my bias for Firefox Quantum is showing a little bit). What other factors go into selecting a web browser? Probably the most important factor of them all is (or should be, at least) security. 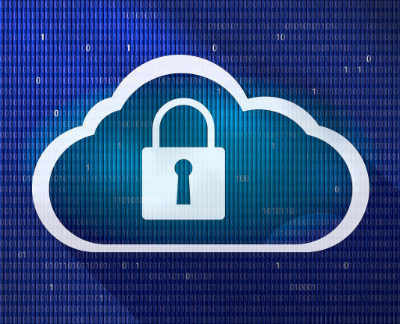 We use browsers to do everything from sharing personal information on social media to paying bills and filing our taxes, so security should be at the forefront of our list. Making sure your data, both on and offline, is secure and cannot be compromised due to your browser, or browsing habits, is vital. So, which browser offers the most security for your data, all while not slowing you down, or causing inconvenience? The Firefox Quantum bias might shine through here as well, but with good intentions. Mozilla is a non-profit organization, meaning they don't have the same desires to take your data and sell it to marketing companies. This ends up being a pseudo-line of security for you, because the browser itself isn't capturing and transmitting the same sort or quantity of data as its competitors. Quantum also introduced a system that prevents extensions from injecting malicious code into the browser's internal codebase, making it nearly impossible to corrupt the browser itself. If we lean on extensions, Firefox also has a repository of hundreds, if not thousands, of security tools to further protect you and your data, but this is a purely browser-based segment, so more on extensions in another post. Google Chrome boasts several additional security features which make it our decision for "most secure out-of-the-box" browser. One of the biggest features Chrome has is their Google Safe Browsing. This is Chrome's built-in security tools that protect you from phishing and malware by warning you when the code behind some content (a website, email, etc.) isn't exactly what it appears to be. There is a whitelist feature where you can "unblock" sites that Chrome might think are malicious too, allowing for deeper customization. Chrome also runs on the idea of sandboxing. Simply put, this just means that every additional tab or webpage you open is its own separate process. If one is infected, crashes, or breaks, it shouldn't affect the overall browsing experience, won't crash the browser itself (hypothetically), and won't allow the malicious code, crash, or broken feature to affect the data on any of your other processes. At this point in this post, I'm sure you are all aware that Edge and IE don't really stand up to Quantum and Chrome. Furthermore, Firefox Quantum and Google Chrome are both available on macOS, so we're at a point in this post where Safari doesn't really stand a fighting chance either. So we've basically got our final round for "best browser": Firefox or Chrome? This decision honestly comes down to your hardware and to your level of use. Firefox Quantum will run on just about any hardware and will run quickly. Its base-level security features leave a fair amount to be desired, but if you're willing to configure addons and play with the settings a little bit, Quantum can end up being the best browser to date. If you've got a more powerful machine, or you just casually browse the web, Chrome will work great for you right out of the box, with little extra to configure. If my bias hadn't shown through already throughout this whole post, I lean toward using Firefox Quantum as my go-to browser. From the theme library (which I like better than Chrome's) to the ease of use, speed, and the fact that I primarily work as a web developer, Quantum wins with me every time. Did your browser get pushed to the back of the line? Do you have a suggestion for a better, faster, or more secure browser? Let us know below to possibly be featured in one of our browser-specific blog posts down the line!